Hello, Planner girl welcome back! 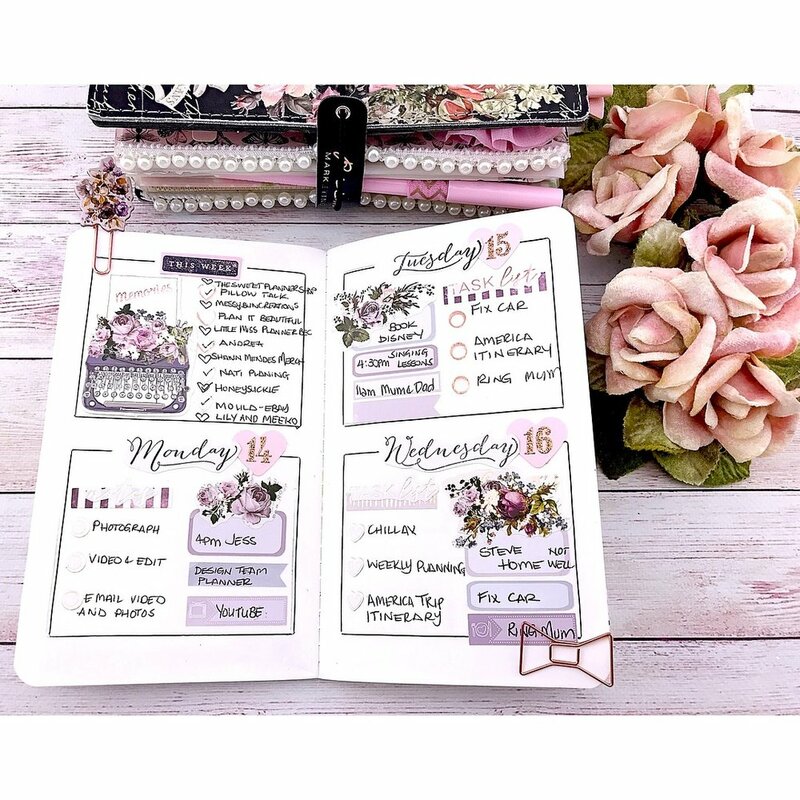 Today we are exploring the inside of Wendy's traveler's journal and how she got it all set up for May using our Love Story and Lavender collection. Wendy created a folder to go inside the front cover to "hide the necessary but unattractive calendar that I repurposed from a ring planner" she says. This is such an easy DIY and perfect for making your journal staying looking pretty. On this blank pages Wendy used the Washi Tape (Vintage Blush and Lovely Notes) and Lavender Collection Ephemera to decorate her notes page. Wendy used a little scrap paper from the Love Story paper pad down at the bottom to give it the final touch. This is a great way to make a simple to do list or note page pretty yet functional. Here is how she used the lavender stickers to set up her weekly spread. Wendy stamped the days of the week with her PTJ stamp set and used the stickers from the lavender collection to decorate each day in her week layout. Here is the list of the product used for the weekly layout. Thank you for stopping by, make sure to head over to Wendy's account for more inspiration @prettymintplanner.